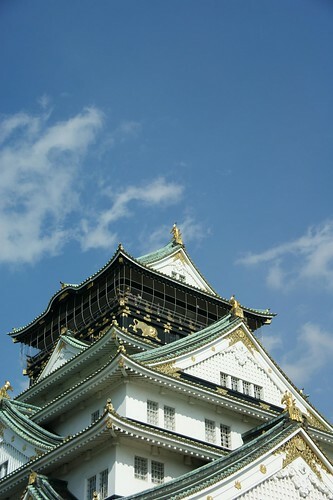 If you don't like shopping as me, Osaka Castle will be the most attractive spot for you. 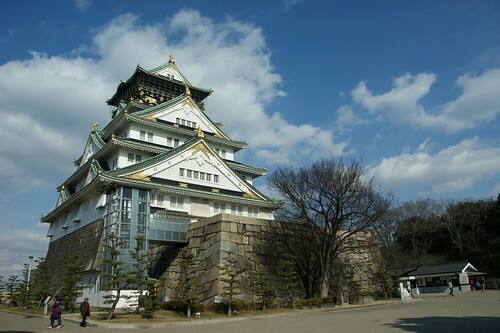 Osaka Castle played an important role in Japanese history. 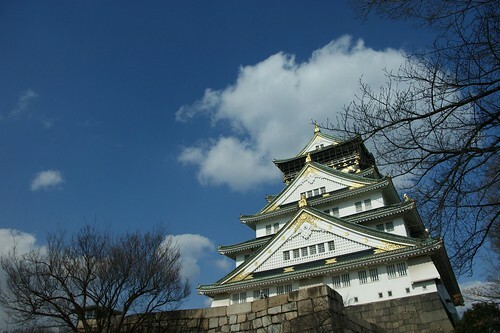 If you are familiar with Japanese history, drama or event computer games, you will know a lot stories happened in Osaka Castle. Original Osaka Castle was built in 1598, but was burned down in 1615 during the battle. In 1928, the main tower was restored, but destroyed by bombing in 1945. Current Osaka Castle was built 1997, and organized as a museum to for Osaka Castle history related display. Osaka Castle is not only a nice place to learn about Japanese history, you also can enjoy walking in the Osaka Castle Park. If you visit there at a good timing, you may see plum flower and cherry flower blossoms.